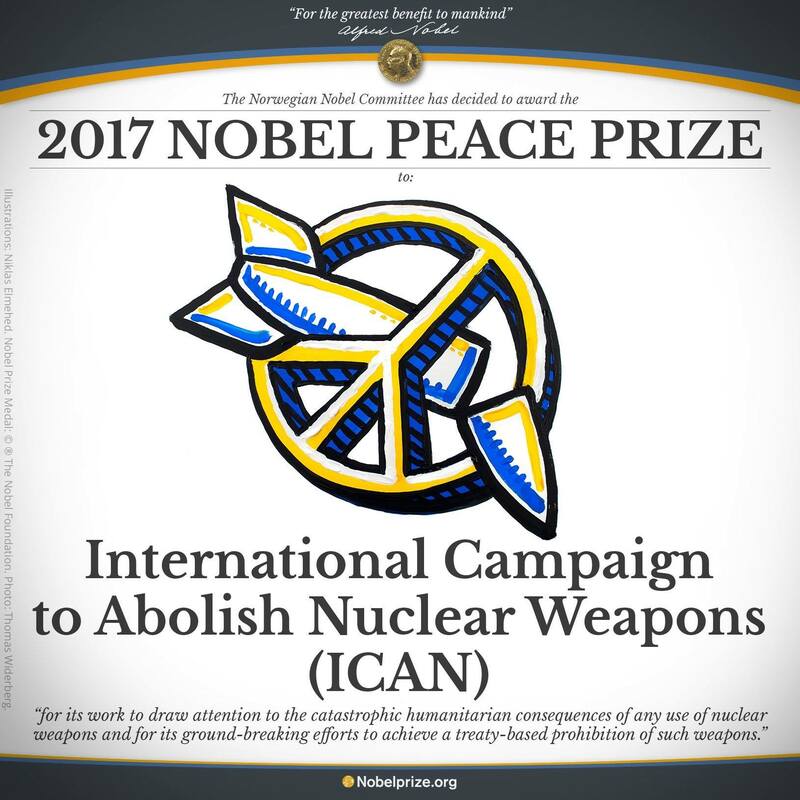 Brigidine Sisters congratulate all involved in the International Campaign to Abolish Nuclear Weapons (ICAN) on recently being awarded the 2017 Nobel Peace Prize. Their efforts demonstrate once again the power of a small group of dedicated people who are passionate about justice for planet Earth, humanity and all living beings. Their work of drawing attention to the catastrophic consequences of any use of nuclear weapons and of striving for treaties prohibiting such weapons offer glimmers of hope in a world threatened with violence and disaster. We will continue to work for justice and strive for peace in our own hearts, in our communities and in the world.